We’ve shared our baby news with you and are counting down until April 1 for #3 to join our chaos. That being said, we still have one last announcement to share about our plans for this summer. This summer our family of five is moving cross-country to Southern California! This has been an ongoing conversation between Josh and I for the past six years since returning from traveling. 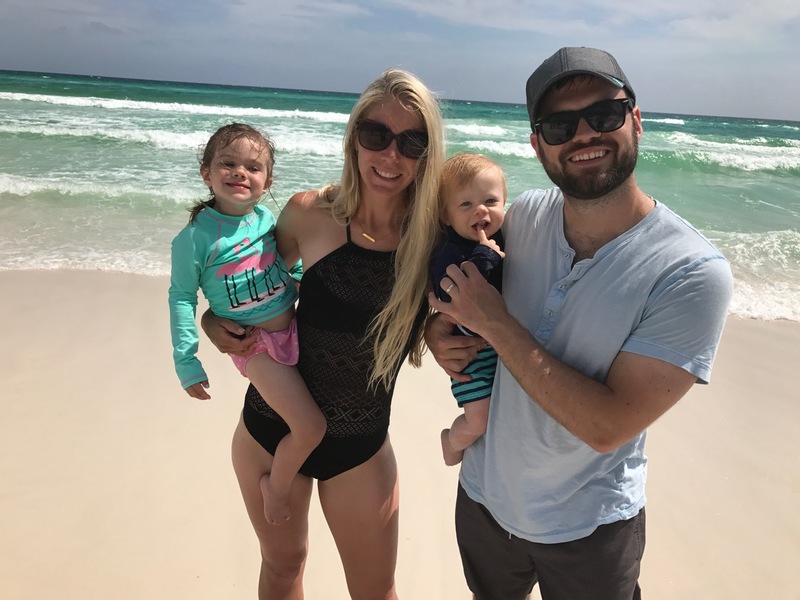 We’ve loved being near family and having three adorable babies in our hometown of Carmel, Indiana but now more than ever we feel called back to the coast. We crave the sight of mountains and the intoxicating salty air that you can only experience standing in front of the ocean. We want to spend our weekends exploring, hiking, camping, year round. We want to be able to load up our three littles and experience the outdoors with them and give them the love of nature that was instilled in us. Josh was born in California and he’s always wanted to move back. I spent my childhood in Hawaii running barefoot every day and I want my littles to do the same. We feel healthier when we are outdoors everyday. We workout more, we eat healthier, we are happier. This move is in hopes of setting a better example for our family and being all-around healthier together. After 10 years of marriage, this is the hardest decision we’ve had to make so far. Quitting our jobs in Chicago back in 2013 to spend a year and a half traveling was easy compared to this decision. Now there are kids, friends and family involved – and our family means the world to us. We’re going to miss them a lot but are equally excited to take what they have instilled in us and pass that to our kids, and for them to come visit! We know that they have already started to plan their first visits and that they’re excited for us to start our next season of adventures. We want the beach to be a day trip, not a once a year vacation. We want hiking to be a weekly family event and we want to be near mountains. We have so many great memories to be nostalgic about in Indiana. We started dating at Carmel High School, got married in downtown Indy, had three adorable babies and bought our first house. We shared so many of our firsts in this city and Indy will always have a special place in our hearts. What I’m saying is, don’t worry, we will be back to visit! So stay tuned for our very long road trip this summer, cross country with three kids…and next time you’re in the San Diego area come visit us! Good luck! You guys will have to meet up with Mitch Burress & Kate when you get settled. Sounds amazing. I heard they were in SD! Congrats! We just did the same when our daughter turned one – we are now a 3hr flight from family so we know how tough it is to make that decision! So bummed you all are moving but sounds amazing!! Best wishes to you guys! !